Use your mind to its fullest capacity and do not be limited in thought in any way. Physical circumstance can pollute the surface mind with all kinds of phantoms and spectres that haunt us in our waking and sleeping states – do not be afraid. Although society can be unjust, and the tyranny of history can weigh heavy on our heads, we should follow the great men and women of the earth and allow our capacity to ‘think’ to outweigh our capacity to ‘suffer’. The mind and physical world of matter are not two things, nor are they the same – this knowledge alone is the essence of human freedom. 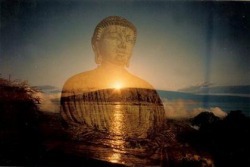 Both Buddha and Karl Marx developed the ability to see through the delusion of the world that surrounded them. This is an extraordinary feat and many do not realise that the Buddha’s vision was probably even more radical than that of Marx – although both are of a similar strength of vision. The Buddha, like Marx 2000 years later, thoroughly rejected the Brahmanic society he lived within. 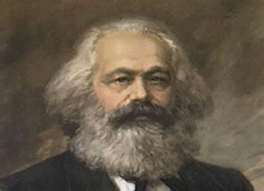 Marx thoroughly rejected the Bourgeois society he lived within. Both rejected theistic entities and conventional logic for a free-flowing and free-associating perspective that is new and beyond any known analyse. Become perpetually free and do not settle for the enslaving belief in phantoms or spectres. Previous Post: Picassos Coffee Lounge (Torquay) Discriminates Against Disabled People!